Modular, stair concept could use a set of molds to produce ferrocement parts at competitive cost. I would like to be involved with modular cement production. As a prototype builder, testing work-strategies and material types, my work has typically been crude in finished surfaces. Here is a page with my 2004 stair experiment (for my thin shell cement dome). I always appreciated that the market demands smoother finished surfaces, like factory finished surfaces. 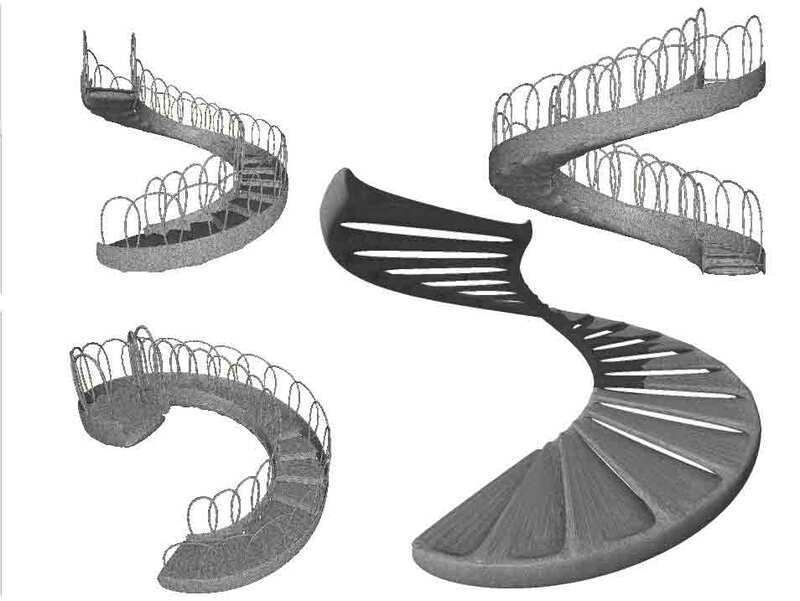 I would like to find interested business minded people to develop modular parts like these stairs. I have decades of experience in structural work but have never had financial resources to establish business concerns. By 2015, my design modeling software (formZ 8.5) has assembled new tools to streamline modeling of curved surfacers (and better "quick renderings"). I should add more models here in the winter of 2015-2016. 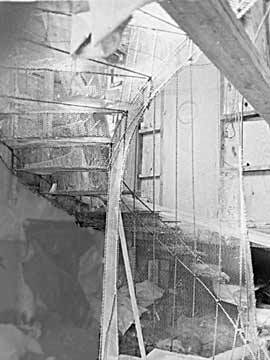 Below is my first ferrocement, spiral stair. Welded rebar and diamond mesh were used. 1978?